the dispenser there will be a shoe cover cover your foot automaticly. 2.It is suitable for family, hospitals,Computer rooms and factory against for dust. 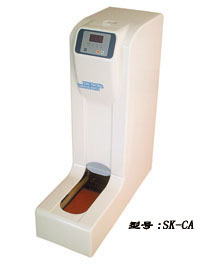 3.SK-CA shoe cover dispenser holds 200pcs shoe cover per time.The contour elegant appearance,clean and sanitary,stability is that great.